Pick any 4 flavorings - mix and match! Mix and match your favorite flavors and save! Select any 4 of the flavorings listed below from the drop down menus. The flavors are all organically good! Definitely a great opportunity to try any assortment of flavors for a reasonable price. Thanks! I am new to this process and found the flavorings easy and delicious! A must try!!! This is a great way to start experimenting with flavors. The rose plus brain brew blend recipe in the big book is heavenly. I put the elderflower with grapefruit, wow. Then a soothing turmeric, ginger, cinnamon. I just ordered another set with florals. Great starter for flavoring! Love the ginger and elderberry, alone or together. Didn't notice much flavor with goji, but I use it as an immune enhancer with ginger. Excellent quality products! I have used the Chai Spice flavoring for my Kombucha for approximately 4 years, it is the best. Add this to some pure apple cider and it tastes like apple pie, delicious! I have the Big Book of Kombucha and wanted to start trying some of the flavors, now that I've gotten brewing settled. I especially wanted to try Love Potion 99. This Flavor Saver give you enough for multiple batches, but not so much that it's likely to lose it's 'umph' or I'm likely to feel bad if I don't like something. I've bought 2 in separate orders and have yet to find anything I didn't like. Shipping is prompt and the package arrived in good condition. BTW, the Love Potion 99 is outstanding! The brain brew, ginger, dried elderberries and chai spice is the way to go! The brain brew is my favorite it gives you such great mental focus and tastes really good. This is a great way to try out flavors for your Kombucha. I ordered Brain Brew, Hibiscus, Elderberry and Ginger. They have all been excellent. I am a Kombucha newbie, but have been able to successfully brew Kombucha through the help of your site and your awesome book "The Big Book of Kombucha." Thanks Hannah and Alex! I haven't gotten the chance to use all my flavors yet but I have to say my Hibiscus is amazing! I made Hibiscus lemonade with ginger and lemon juice and it is so good and gave my kombucha a nice deep red color. These flavor packets are getting me really excited to try new things with my Kombucha! What a great deal this is! This is a great way to try different flavors if you can't decide. Everything I have purchased so far (Brain brew, cacao, rose petals, and green powder) are of high quality and you get several servings in each package. It is such a great price for the amount you get, you can't go wrong. I was wondering what in the world to do with the cacao, but I have come up with my own dirty chai flavor that is actually really good! This is always the place I come to when I need to order flavorings for my 'booch....great quality, great price and friendly people...you can't go wrong with Kombucha Kamp! I ordered the 4-pack of flavors because I couldn't decide between all the choices. It was hard just to get it down to 4. I love that I actually got a vanilla bean for that flavoring. I have tried 2 and they were very tasty. The instructions on their site are so wonderful. I've tried to do this successfully for years and am so glad I found this site. Make sure you take a look for all the good tips! We are new to brewing so we tried a few flavors. We loved it! We are back to order more flavors. My fellow brewers, just can't beat the value of this package if you want to try something new in your flavoring! Mahalo Hannah and KKamp! So much fun! I ordered 2 chai, one cinnamon and 1 elderflower. All added a nice flavor to my kombucha. I little goes a long way. I love that I can choose what flavors I want to try, and get a good amount of each so I can make several batches. Everything is really fresh and flavorful. My favorite so far is the Elderberry, and I can't wait to try more flavors. I will be ordering another sample pack soon! I love the fact I can mix and match the flavor packs. It makes it so much fun to try many flavors. I just keep experimenting and they all taste delicious! I even eat some of the herbs and spices as I drink my brew. I do have a few favorites that I have ordered in larger sizes. The brain brew, ginger and elderberries are so yummy! I have to tell you that the spice's, and spice blends I received from you to flavor my Kombucha are absolutely amazing!!! The multi-pack to make root beer flavored Kombucha makes the most wonderfully flavored Kombucha! And the Chai spice flavoring...oh my gosh!!! Delicious!! Your spices smell AMAZING, and the quality, and flavor's are unbelievable!!! Thank You so much!! I will only buy my spice's, and spice blends from you!! A definite 5 star +!!!!!! I love the sampler pack. Originally when I ordered it, I got 4 different flavors and loved that I could try 4 for such a low price. But once I discovered how much I LOVE the cinnamon crystals, I ordered 3 cinnamon crystal packs and 1 mint flavoring packet. Although the mint is good, the Cinnamon is GREAT. I have recently discovered that adding a few of the cinnamon crystals to strawberry honey kombucha creates a delightful flavor. Slightly fruity and cinnamon, combined with the honey is simply yummy. 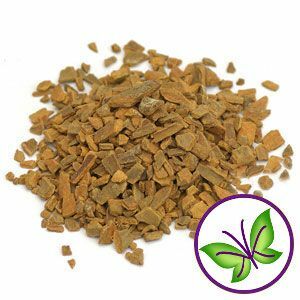 Please consider adding cinnamon flavoring to your next batch of healthy kombucha. Every other week, I make a new batch and use my cinnamon flavoring. I love this flavor sampler! I get to choose what I want and they are such high quality ingredients. So happy I found Kombucha Kamp so I can get the best of everything to home brew Kombucha. Excellent and fast service too! Great way to test a variety of flavors. Easy breezy to use. I love the great value on the flavor saver-4 packs! Great service!! I've been making booch for about a year now and love it. Decided to spice it up a bit and order some new flavors. I love the elder flowers and the rose hips and the hibiscus adds some beautiful color to my brews. It's a great way to try several flavors and combinations. The order came quickly and as always with a personal note from Hannah. Its also a great way to get all the ingredients to make rootbucha which is the best! The first flavoring I tried was the chai spice and I LOVE IT! I then purchased the 4 pack with hibiscus, gogi berries, cinnamon bark and green powder blend. Every time I make a batch of bucha I try one of these in my secondary fermentation. The buch comes out great. 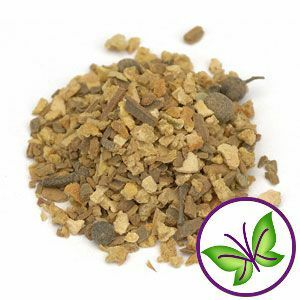 I estpecially like the cinnamon bark and I mix with fresh ginger or a little bit of apple. Super good. The hibiscus makes a beautiful color tea that is lightly flavored - very refreshing. The gogi berries and green powder blend are equally good - love that I can add extras to make each bottle of Kombucha a little different. Will definitely buy again! I would give everything I have purchased which was flavorings, ph strips and a temperature gage a 5 star rating. I was very happy how fast my items got here. Thanks for the great service. Love my package! Been using it to brew Kombucha and Water Kefir! Love these products! 5/5 stars for quality, speed, and efficiency. Feedback, when necessary, was courteous and prompt. It has been a wonderful learning experience and there's nothing to reap but health benefits. Now, I've moved on to flavorings with the second ferment....and have had success!! I'm looking forward to all the choices you offer. Picked up a few. And one of my own; pineapple and a couple dashes of cayenne. Thank you for your superior products. This four-flavor sampler is the perfect way to try out a variety of different herbs, spices, and flavoring blends -- especially if you like having a lot of flavoring options. So far I've tried rose, lavender, elderflower, tumeric, and the green power blend. All are exceptional. I am really enjoying flavoring my kombucha! Your flavors are great and let me make all kinds of yummy kombucha! Thanks! I am really happy with all the products that I have used so far. I am using the heating belt and it is working great for me with a timer on it to keep the temperature at an even degree for brewing. I am reading your book and love this also. I ordered some of your flavorings and have tried your tea. The batch was the best I have ever made. I tried your second brew by putting the flavoring in and leaving it for a couple days without the belt. Best tea ever. I am on my next batch now and know it will turn out great. I am about to order some other products now. Thank you for all the advice and suggestions that I have received from you in my very amateurish ways. The book has come in handy also. I'm curious to try some of your different blends. The 4 Pack Mix & Match is a good deal and a great way to try new flavor ingredients. I made a delicious Hibiscus Lemonade with hibiscus, ginger, and lemon juice. Yum! My first pack came with Chai Spice. I combined Blueberry juice & chai spice - it truly put a smile on my face. It was refreshing and left me begging for more. The Flavor Saver is awesome for people who love to brew but are very, very busy. The mix and match is a great value. It allows me to pick flavors to try at a discount. Once I find the flavors I love, I can buy them in a larger quantity. I bought a 4-pack mix with my initial SCOBY purchase. I tried the chai, hibiscus, maca, and green power blend. They were all awesome! My initial brew I flavored a couple bottles with each individually to get an idea of what they add to the kombucha. The chai was very strong--I think I'd like it with some apple or vanilla! The hibiscus was my favorite and made the kombucha a very pretty pink. I couldn't taste much difference with the maca and the green power, which isn't necessarily a bad thing. They both have great health benefits and I can see pairing them with stronger flavors easily. This was a great way for a newbie such as myself to try new flavors without committing to a larger order of a single flavor. Can't wait to try more!! Great way to try some new flavors for my kombucha. Elderflower, Maca, Elderberry and Green Power Blend were my choices. The maca (along with some cinnamon) did make my fruit flavors taste like pie. Green Power Blend - just the name of it makes me feel healther and it tasts great. Check out the other review to find 'recipes' for your flavorings. I did. There are great combinations here. This is an inexpensive and great way to try different flavors on second ferments. I like that it tells you the amount to use on the package. A little goes a log way so these will flavor lots of kombucha! I've made ginger/hibiscus (yum!) and sarsaparilla mixed with vanilla bean. Next I'll use the cinnamon bark with apples. Thank you, Hannah, for making these available and easy to use! This is a great deal! All flavorings are super high quality and tell you exactly how much to use in your brew. So far I've used my chai tea, elderberry, and lavender. Havent gotten to try brain brew yet. The elderberry makes such a gorgeous color and they all taste great. Yum! Nice way to try new flavors. 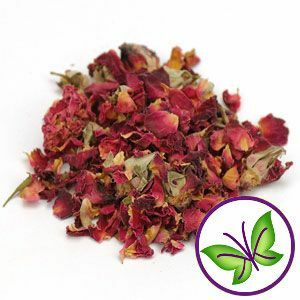 Hibiscus and rosehips make a beautiful pink blush color in addition to great taste. Best bang for your buck to try new flavors or stock back up on your favorites. Ordered ginger(x2), elderberry, and green power blend. All bags were labeled and had usage instructions (convenient). Will definitely order this pack again when I get low. This was a great opportunity to try four different favors. I chose hibiscus, rose hips, ginger and elderflower. They were all very good. I felt like an artist or a chef creating beautiful flavors to tantalize the palate. There are endless possibilities. Very exciting!!! What a great opportunity to try 4 spices when getting the Deluxe package. Included in the 4 pack were Chai Spice, Ginger, Brain Brew & Cinnamon. All stimulate the right areas of my brain in terms of flavor - delicious, but then there’s mental security in getting that added benefit from Brain Brew. I’m hoping that the Gingko and Gotu kola are stimulating a neuron or two in my brain preventing premature aging, enhancing intelligence and stimuating memory. After a second ferment in my cupboard, there’s an added natural carbonation – especially with my absolute favorite, ginger. Almost equally as wonderful are the Chai and cinnamon. Both add a pretty strong flavor. The portions are generous and the instructions are priceless. Hannah recommends anywhere from 1/8 – ½ tsp depending on the flavor. I’m looking forward to my next order which will include another 4 pack with a new mix of flavors. I love this sampler, and the flavors are outstanding. The elderflower makes my Jun taste like a great champagne. We also like Hibiscus with Ginger. Great product! I have purchased this 4 flavorings mix-n-match twice now, each time trying 4 different flavors. I was surprised by how generous the servings of each flavor were! 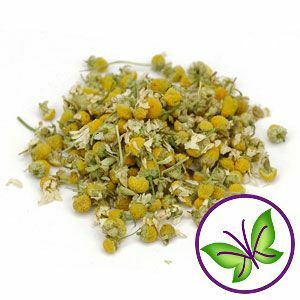 I thought that since it was a 4 pack, it would just be a little bit of each flavor, but the chamomile for example, came with 50 servings! Lavender had 60 servings in a bag, and rose petals had 70 servings in a bag! Wow! What a great deal! Therefore, havings spent about $30 on 8 different flavorings I'm set for life! These flavorings will last me a LONG time. I'm also thrilled with the potency and freshness of all the flavors. Maca is one of my favorites; it's earthy and nutty. Sometimes maca is so mild you can barely taste it, but just a little bit of this high quality maca goes a long way. I'm so glad I ordered my flavorings off Kombucha Kamp- it would have been much more difficult to try and gather all these flavors from different stores. I've been spreading the word on homemade Kombucha, and I always recommend Kombucha Kamp products (I ordered my starter kit from this website too,and three months later I've got two healthy batches brewing constantly in my pantry!). Thanks Kombucha Kamp! I like having kombucha handy. I have bought some of the flavorings. I especially like the brain brew. My great granddaughter likes the sasparilla. The chai is wonderful. Hannah's special is so much better than using just plain black tea for the brew. I decided to buy the flavorings to just add more life to my plain old kombucha. Wow! I purchased ginger, elderberry, rose hips & hibiscus. I love all of thee flavors & plan on purchasing a diferent variety on my next visit to Hannah's web page. This really changes up the brew. I love how easy each bottle is to flavor too! This is an extremely good deal. After adding flavors to my KTea I could never go back. I look forward to purchasing more multi packs and trying all of the available flavors. So good. I give KK 5 stars for excellent customer service and top notch kombucha supplies. Delivery has been prompt and your products are wonderful! Thank you Hannah & KK Staff. Keep up the good work! 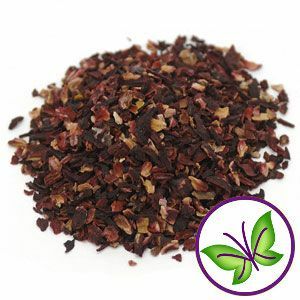 Ordered dried elderberries and hibiscus, LOVE IT! Rating of 5 out of 5 for both. What a great way to be able to try a variety of different flavorings. Thank you K.K. for offering the sample packs and letting us choose our own combinations. Very tasty teas! Fast shipping! All the flavorings smelt so fragrant when I opened the bag, and they tasted great! I will definitely be ordering from from here. Got my first batch flavoring. Blackberry on top, then bottom shelf left to right is Plum, Hibiscus & Ginger ( my fav so far), Cranberry, Papaya, Elderberry (for upcoming cold season). My favorite flavoring is the elderberry. Going to try lavender buds and fresh mint next. Thank you so much for everything. I got the 4 pack sampler pack of flavors. It was great as it allowed me to try different flavors at a reasonable price. My all time favorites, though, are still ginger and Chai. The 4 pack is a great value. I got rose hips, lavender, chia and green powder. All arrived quickly with my new caps. My first flavorings came with my Deluxe package... ginger, hibiscus, and goji berries. Love them all! Not only is the hibiscus delicious, it makes such a pretty color, too! I just received the 4 Pack Mix & Match and can't wait to try them... cinnamon chips, dried elderberry, rose hips, & green power blend. Hannah's flavorings are delicious, economical, and always arrive in a timely fashion! Her recipe ideas for each flavoring is such a bonus! I also play around with herbs from my garden and have found a few very tasty combos...rosemary & lemon zest; dried lavender buds & mint leaves; basil & fresh pineapple. Hibiscus and a wild card. We've bought the mix-and-match flavors twice and we are completely satisfied, would buy again, and recommend the Kombucha Kamp to our friends. We've tried vanilla, ginger, chai, peppermint, sasparilla, and lavender. Our favorite combination is Lavendar/Vanilla and the only flavor we didn't care for was the peppermint because it made the booch bitter tasting which we didn't care for. Love these flavors! We purchased brain brew, elderberry, vanilla bean, and ginger. Yummy! excellent quality. I love being able to create my own blends!! My favorite is Elderflowers, it's a low impact punch of classiness added to the Booch! I love it. This is a great way to sample different flavors for your kombucha. My personal gfavorite is the ginger and I found it doesn't take much to give a wonderful flavor and extra fizz. A great way to try some new flavorings. I had never had Elderberries or Hibiscus before. OMG what was I waiting for?! This is such an awesome deal as it allows you to try a variety of flavors without having to buy the full size. I highly recommend the ginger and cinnamon chips. I ordered the maca and green power blend but haven't tried them yet. Seriously, the ginger is out of this world! Great sampling of flavors. I'm about ready to order more! The Rose hips we ordered shipped quickly, and were high quality. Mixed them with the Hibiscus straight in the bottles. It was great! I ordered these for my mom and she loves them! She is new to brewing but loves experimenting with new flavors! This is also a great deal - Buy 3 Get 1 Free!! And as always fast shipping!! Thanks again KK! I will be back! I've ordered several flavors and have enjoyed all of them. My favorite is lavender but I've had fun mixing flavors too. Ordering the Flavor Savor 4 pack mix & Match is essentially "buy 3 get 1 free" as the flavor packets are the same size as if you order individual flavors. Shipping is quick. As described and fast shipping! Gave me an idea of great kombucha flavors. I will be back to buy here for sure. Thanks!! This was a great way to sample a few flavorings of interest economically. Really, the quantities supplied are a good value. I have to say I always want 2-3 times more than the recommended amount for flavor; still I get a lot out of a pack. These are very high quality flavorings. Adding them on to another order makes it so easy! You don't have to run around town trying to find all the different flavors. The hibiscus is a crowd pleaser. What a great deal! It makes adding flavor to my booch so easy and convienent. You really can not beat the price and I received it a lot faster than I expected. I'm very happy and I definitely will order more! I just bottled my first batch with these flavors and I can't wait to taste it. I love the plain Kombucha but I can't get my boyfriend to drink it, if it can taste like fruity ginger ale I know he'll have no problem with it. Thank you! I got a little handwritten thank you on my receipt when I received it, it was a nice touch. So far I have purchased three Flavor Savor 4 Packs. Each bag has about 30 servings. I am having so much fun using the different flavors and also mixing flavors for my 2nd ferment. The flavors are organic and make a variety of yummy Kombucha. The different flavors also add many health benefits to your Kombucha. Love the elderberries and roses - made a delicious flavor. Thank you Kombucha Kamp! Thank You Kombucha kamp for all my goodies. I ordered a fresh Scobi and I also ordered some lovely flavorings for my Kombucha! Ginger. We received our product just as promised and in perfect order our Kombucha is now really delicious and our favorite treat! I also tell people about Kombucha tea all the time and refer them to your site! I ordered 2 of these kits to try with continuous brewing kit. I am still awaiting the fermentation process of my first batch of brew but am super eager to use these flavors. I was impressed at how fresh everything smelled; for example, the vanilla bean was still in its little pods. In another few days I should begin playing with my flavors and am super excited! I purchased Chai Spice, Ginger, Hibiscus & Lavender. I love Hibiscus, it produces a pretty red color and a wonderful flavor. Ginger adds some fizz after only 2 days of second fermentation in a swing top bottle. Lavender adds a nice subtle flavor to my second fermentation. Chai Spice adds a pretty strong flavor to second fermentation. Ordering the flavor savor 4 pack is an excellent way to try several flavors for an excellent price! I love trying new things, but chai and ginger are still my favorite flavors!I is so great to be able to get a 4 pack and try the new flavors. We chose goji , hibiscus , rose hips and elderberry . Wow! This brought our kombucha to a whole new level of flavor. Hibiscus is our new favorite, at the moment. Even our friends that haven't come to love kombucha gave it a thumbs up and said they could drink that! Excited to try more flavored with our next order. I love this package! It makes it so easy to try different combinations when I am bottling my Kombucha. I absolutly love how easy this website is to use and all that it offers. Customer for life! I really liked that Hannah has included what flavors go well together. I have been pleased with what I have received (8 different packs). They were packaged well and delivered quickly. Thanks for the information you give us thru this website. The mix and match pack is a perfect way to sample flavors and decide which you like best. 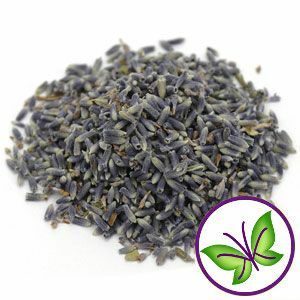 I especially like the lavendar and ginger--they have been fun to mix with other fruits to make delicious brew. My first batch of Kombucha was so good, I didn't use the flavorings yet. I do like the fact that I will be able to flavor several bottles per flavoring packet. I did notice, however, that you've no packet to flavor a Kombucha Bahama Mama. LOL. I purchased this along with a Brew it Now kit from KK. I'm extremely pleased with this, have tried goji berry and elderberries so far. Each one has enough flavouring for many bottles, so I feel good value. Will try more of these! Great way to try out different flavors. My first batch I bottled three different flavors, and they all tasted fantastic. I'm thrilled with my order. This is a great way to try different flavors to see what you like. I love mixing up new combos. It makes great KT even better! I'm very pleased that I decided to order the 4 pack mix and match. It's very convenient to have such a variety at my finger-tips when flavoring! This a great deal! I will probably go this route with all of my flavoring purchases so I can try new ones and mix things up. came just as described. excellant chance to try different flavors. Great Value. I received this with my Deluxe Package & I am about ready to order ANOTHER Flavor Saver - 4 Pack Mix & Match already. I like the convenience of buying it in the mix & match package from one location & all products have been of very high quality. This also allows me to find out what flavors I like best before buying something in bulk. Got this with my deluxe package. I liked that it got me thinking about what kind of flavors I actually like. There's a lot in each flavor pack to make 30 or 40 bottles I think. I haven't used them all up yet after a couple of months.